Image Credit & Copyright: Jack Fusco. This amazing set of startrails comes from one of the greatest night sky photographers I know; Jack Fusco. Not only does he produce some incredible night sky images but he also has the talent for generating some inspiring timelapse work as well which, this image just happens to be a small piece of. It’s titled “Chasing Starlight” and takes place in Jasper and Banff National Park, Alberta, Canada. 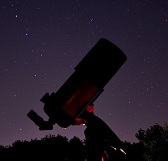 Any one of you that have spent sleepless nights outside freezing, trying to perfect night sky imagery can get a feel for just how much time and effort goes into a short rendering like this. As far as this image, it was captured in Banff National Park over Lake Minnewanka and what a sight it is. The north polar startrails seemingly spin the Earth like a top as the glow of the northern lights carpet the jagged landscape in green. The Canadian Rockies has always been on my “To Do” list and after seeing images like this it’s not hard to see why! Thanks Jack on another amazing job, congrats! 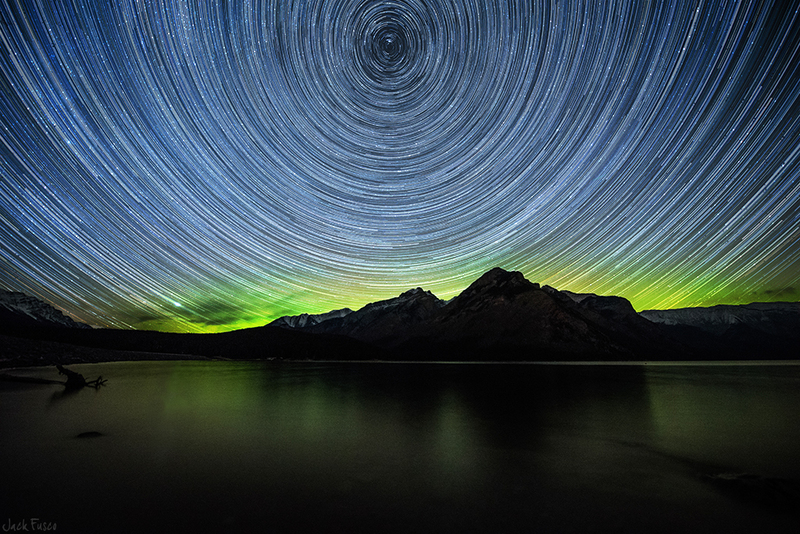 Image | This entry was posted in Astrophotography (Wide Field), Images, People, StarTrails, Video and tagged Alberta, Astronomy, Astrophotography, Aurora, Aurora Borealis, Banff National Park, Canada, Canadian Rockies, Chasing Starlight, DanSpace77, Jack Fusco, Night Sky, Northern Lights, Space, Star Trails, Startrails. Bookmark the permalink.